We're nearly halfway through December and I have yet to post. December is always a bad month for me blog wise because Christmas is a busy time of year but it's also so dang dark! I get up and it's dark, with it just getting light around the time I leave for work. By the time I get home, it's already dark. Ugh! That leaves the weekends for photos and getting posts ready, but I just haven't been up to the task as of late. I always have this big idea that I'm going to do all my photos for the week on the weekend and then write posts as I go, but so far, it hasn't germinated past an idea. Read 4 books. Only read two. Sew everyday. Nope. Ended strong and did the craft fair with one of my friends. Pretty happy with how it went, but still have plenty of sewing to do. I would also like to do more craft fairs in the future, so should really have a stash of finished projects ready to go. Drink 64 oz of water a day. Was better about drinking, but still no where near enough. Pray daily. Didn't manage daily. 10 minutes of planning out my day in the morning. Didn't do this everyday neither. So I didn't meet any of my goals this month, which I don't think has every happened before, but that's the way it went. December is already off to a better start. Drink 64 oz. of water a day. Restart morning pages, or evening journaling, basically some form of writing. Be present for Christmas. So often I feel like Christmas passes in a whirl of shopping and baking and cleaning that I don't really savor it. This year I've already got lights on the front of our house, and a cookie baking date planned with friends. Get 2017 planner done. I use the Volt planner and love it, but I feel like I could make better use of it, if I incorporated blogging goals and stuff into it and made better use of the weekly prompts. Work on my 2017 goals. What do I want 2017 to look like? 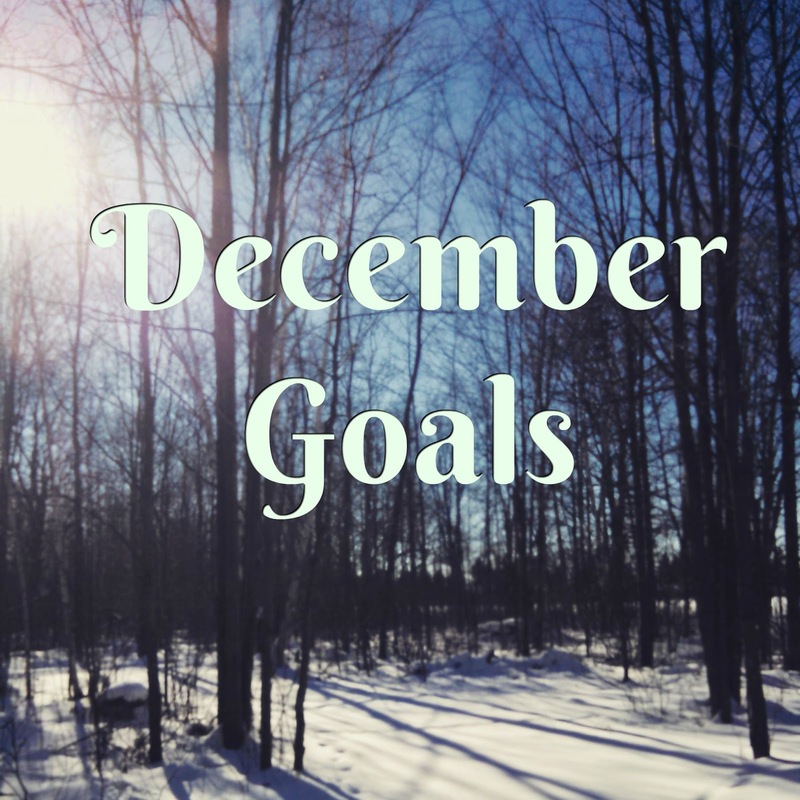 If you want to link up your December goals, or are just curious about what everyone else is doing? Check out the link up over at My So Called Chaos. I know the feeling! Gave myself a concussion last week and feel like I am 3 weeks behind on what I want to do. But getting back on track and meeting up with a friend on Friday to go over 2017 plans.